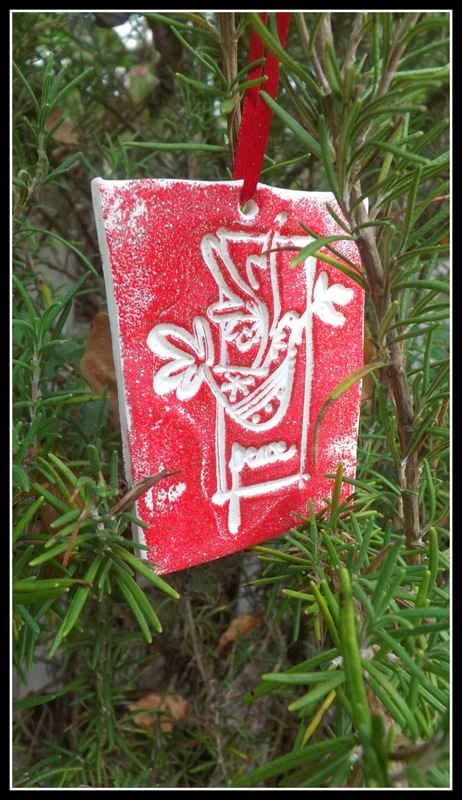 Tis the season for homemade Christmas ornaments. This year, I participated in a handmade ornament swap with a bird theme. I didn't really have the time to sew something...so it was a time to get creative. I took an idea from my girls who love to stamp images into their playdough and figured I could turn that in to a handmade ornament. Kato polyclay was the perfect medium. It is soft, rollable...and will bake up firm in the oven. Take a good chunk of the clay and kneed it until it becomes soft. Then, place it between two sheets of waxed paper and roll out to about 1/8 inch thickness. 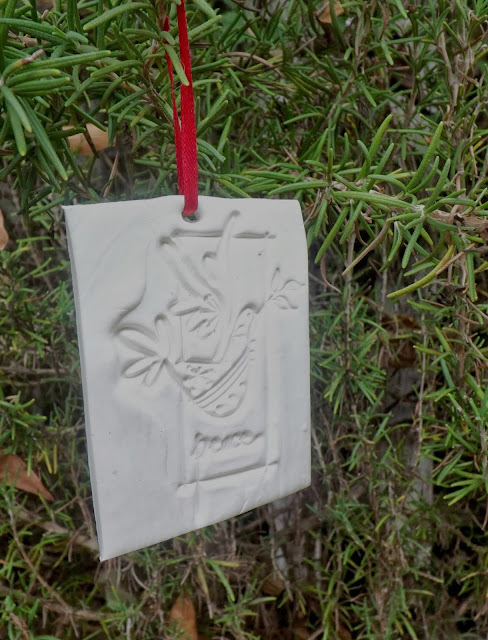 Remove the waxed paper and press the stamp into the clay. Using a knife trim away the excess...I did mine in a rectangle shape. I used a chopstick to make a hole near the top for the ribbon. Stamps with intricate detail don't really work well with this project. The details just get too hard to see. Bake the clay according to package directions. You could stop here with the ornament. But, I found the details a bit difficult to see. I used a versamark ink pad over the top of the ornament then sprinkled with embossing powder, following up with my heat gun at the end. Different amounts of embossing powder give different effects. I think they all turned out great! 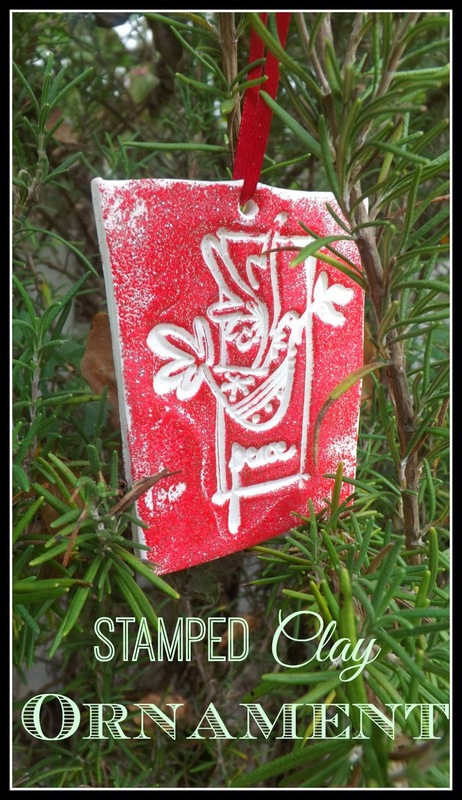 I LOVE this idea.....first, I hadn't ever thought about using a stamp for a pattern....duh. Second, adding color your way is astoundngly easy, but I hadn't thought of it. I was "dead in the water" on this project till your post! Thank you! So cute and easy! Love that you added the color!